Size: 3 " x 1.5 " - Display your logo and name proudly with a personalized item from our Metal Id collection. Made from durable metal with a satin finish, these recognition items are long lasting and perfectly suited for any event. 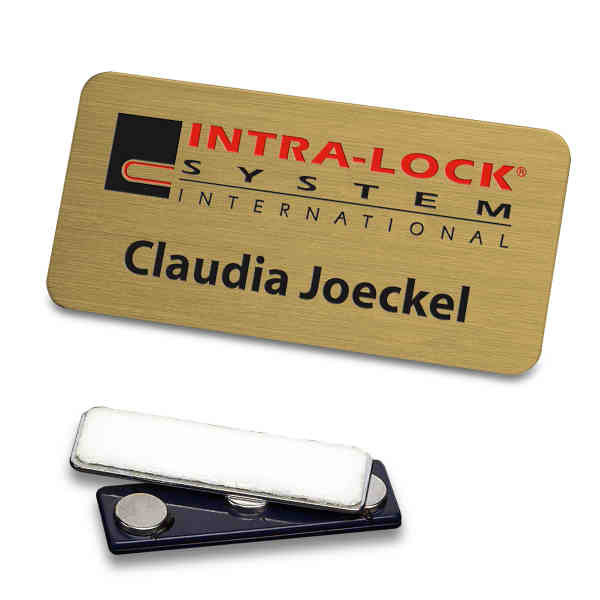 Brass, bronze or nickel-silver etched name badge, recessed copy with a magnetic back. Size: 3 " x 1.5 "
Imprint Size:3" x 1.5", 3" x 1", 2.75" x 1"